I absolutely loved If I Fix You, Abigail's debut novel, and I flipped when I saw that she had a new book coming out this year. Her book was so emotional and this one looks like it's going to have all the feels as well! It sounds like Dana discovers so many secrets about her life and she changes as she learns more and more. And the fact that the love interest is described as "intense yet kind" has me NEEDING THIS BOOK. 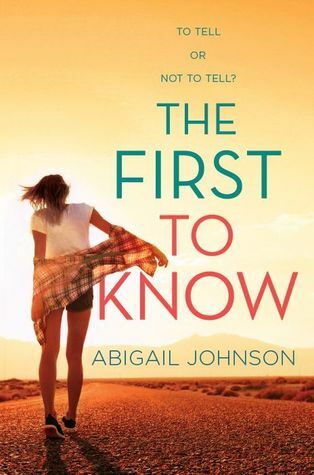 I cannot wait until The First to Know comes out!! I've seen this cover around but never read the synopsis. It sounds pretty good, not sure if I'll get to reading it, but I hope you love it when you read it. I never got the chance to read If I Fix You! I remember it though because the cover is so stunning. This one is new to me! I hope you enjoy this book when you get the chance to read it!